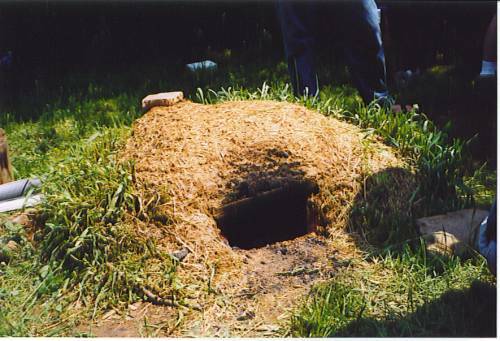 Earth Oven - used to bake bread at a Standard Class at the Tracker School (2004). 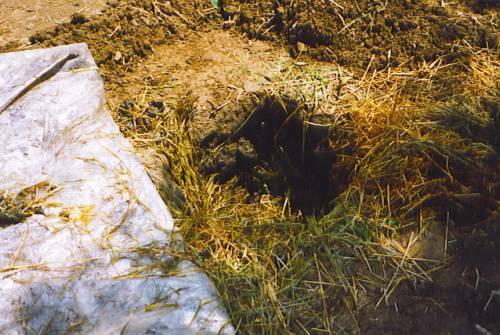 Pit used to cook food at a Standard Class at the Tracker School (2004). 3. After the fire burns for a while, it is put out and removed. 5. The food is covered with leaves and dirt. 6. A few hours later the food is removed from the pit, nicely cooked!